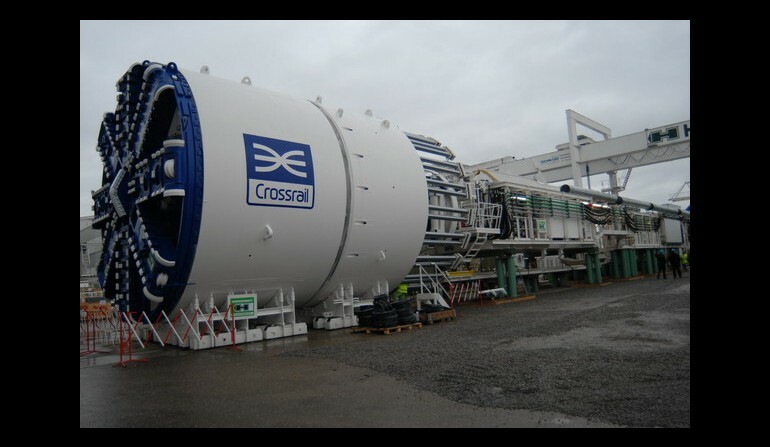 Crossrail Press Release - Crossrail's first tunnel boring machine unveiled - Crossrail . For information about the Elizabeth line please visit the Transport for London website. 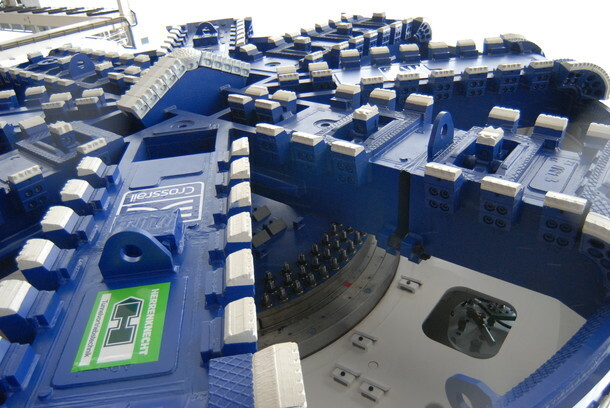 Europe’s largest construction project has unveiled the first of eight, 1,000 tonne tunnel boring machines (TBM) that will construct the new Crossrail tunnels under central London. 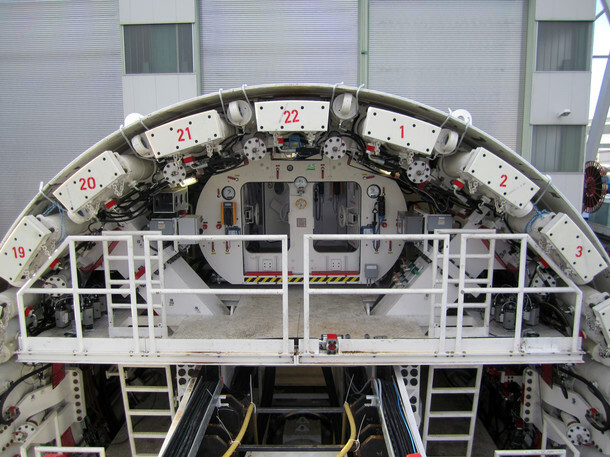 The 140 metre long, fully assembled tunnel boring machine (TBM) is currently undergoing factory testing. 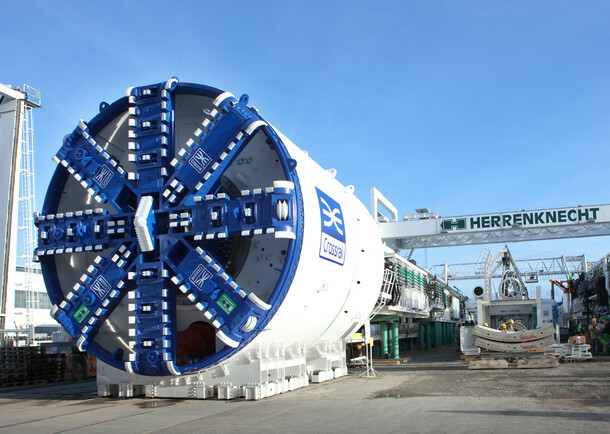 The machine will shortly be dismantled and shipped to London where it will be re-assembled at Westbourne Park ahead of tunnelling commencing from Royal Oak in March. 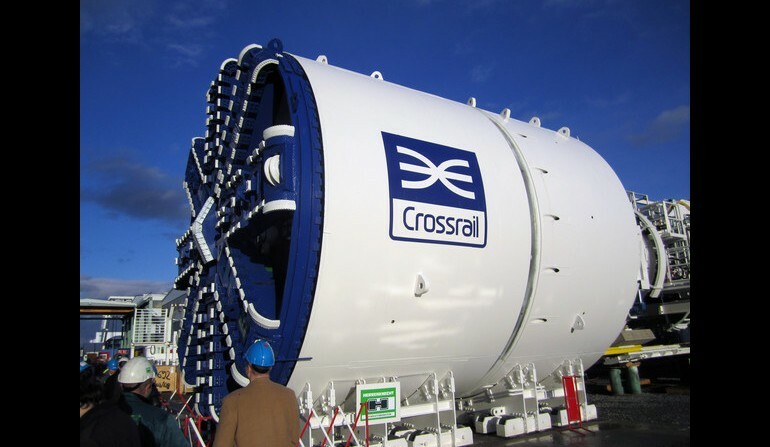 To construct the 21km of twin-bore tunnel required for Crossrail, eight tunnel boring machines will be required and will undertake ten individual tunnel drives to construct the 6.2m diameter tunnels. 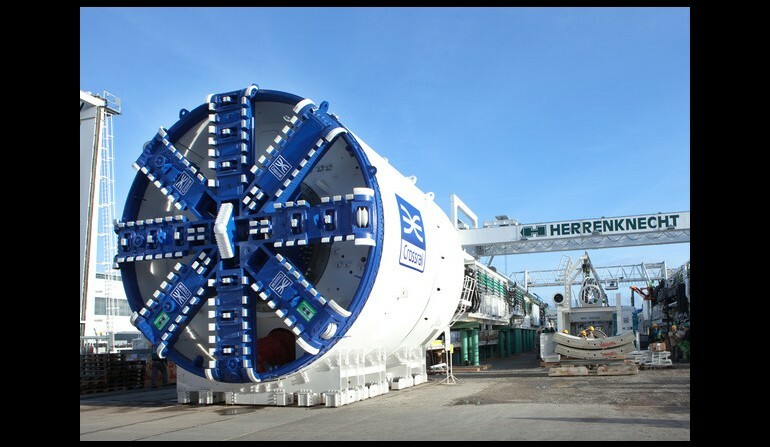 At 140 metres, each TBM would just fit just inside the boundaries of a cricket oval. 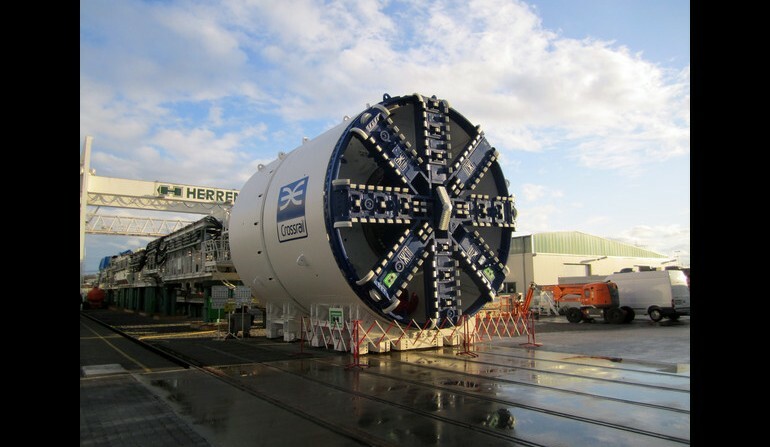 The TBMs will bore the tunnelled section of the 118 kilometre rail line that will link Maidenhead and Heathrow in the west with Shenfield and Abbey Wood in the east. When completed, Crossrail will bring an extra 1.5 million people within 45 minutes journey of London and reduce cross London journey times. The TBMs will run 24 hours a day, 7 days a week stopping only for scheduled maintenance. 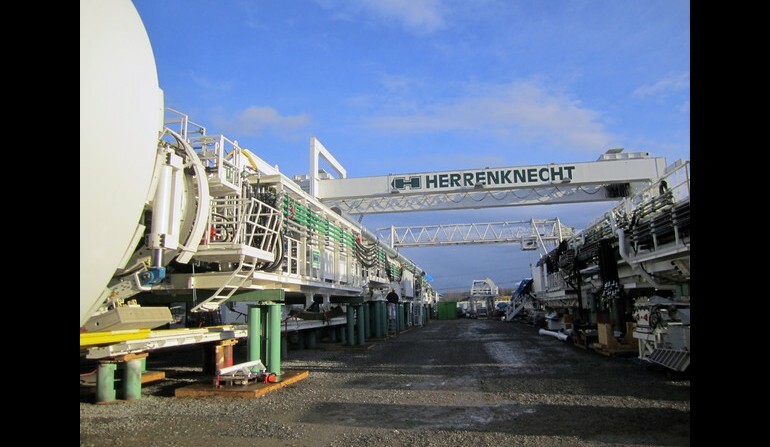 The eight Crossrail TBMs are being manufactured by Herrenknecht AG, Germany who also manufactured tunnel boring machines for the Jubilee Line Extension and the Docklands Light Railway (DLR) Extension to Bank. 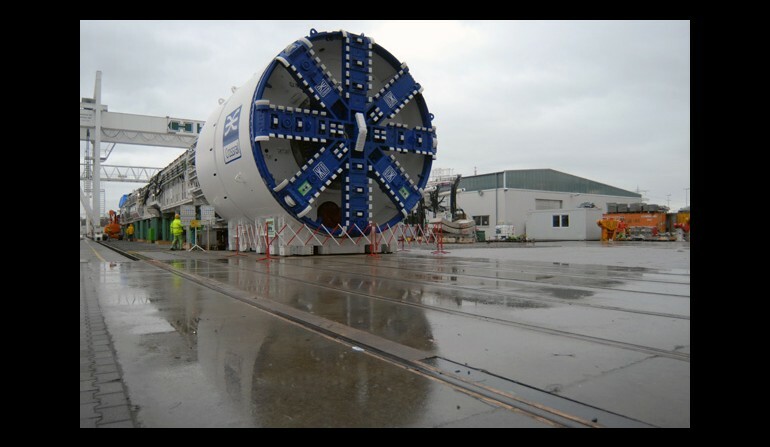 Following the launch of the first TBM in March 2012, a second TBM will be launched from Royal Oak a few weeks later. 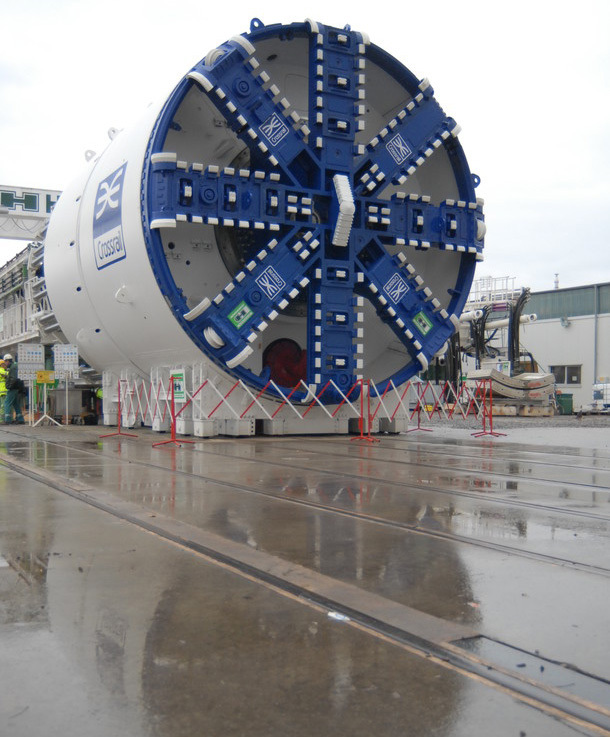 The remaining TBMs will be launched from Limmo Peninsula in the Royal Docks heading towards Farringdon in late 2012; from Pudding Mill Lane and Plumstead in 2013 and from Limmo Peninsula to Victoria Dock in 2014. 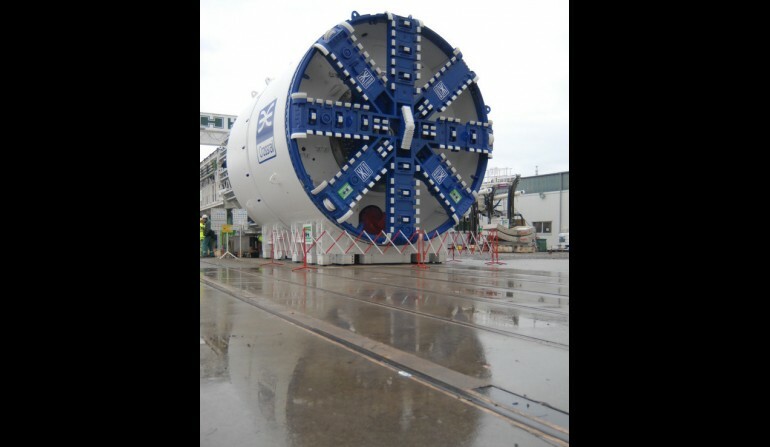 The remaining TBMs will be launched from Limmo Peninsula in the Royal Docks heading towards Farringdon in late 2012; from Pudding Mill Lane and Plumstead in 2013 and from Limmo Peninsula to Victoria Dock to 2014. 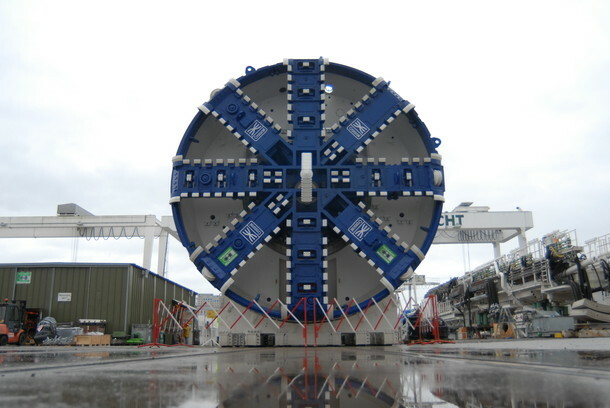 Following the launch of the first TBM in March 2012, a second TBM will be launched from Royal Oak a few weeks later. 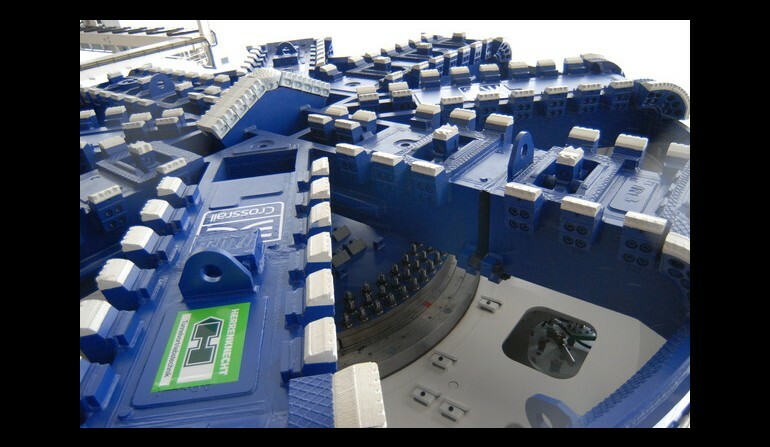 The TBM has 22 hydraulic rams that will drive the machine forwards as it cuts it's way through the London clay. Crossrail tunnelling will commence in March 2012 from Royal Oak, near Paddington. 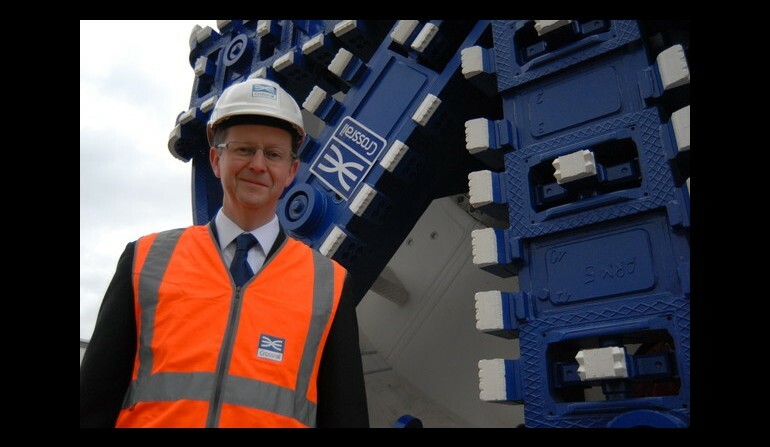 Image of Crossrail's Chief Engineer, Chris Dulake, standing in front of the first fully assembled tunnel boring machine. 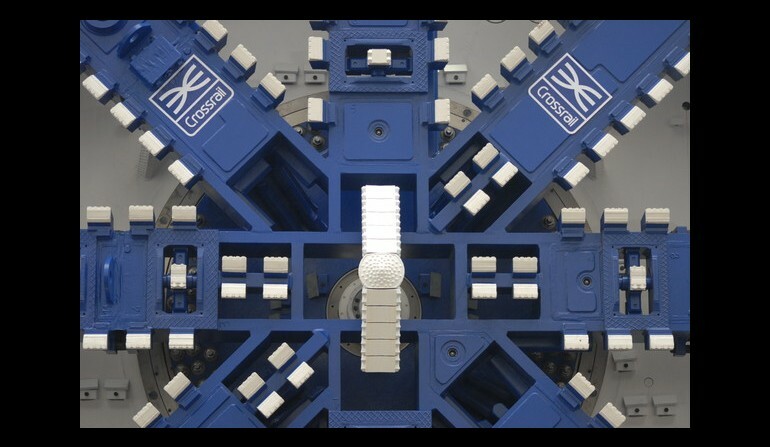 The eight TBMs will undertake a total of ten individual tunnel drives to construct the 6.2m diameter Crossrail tunnels. 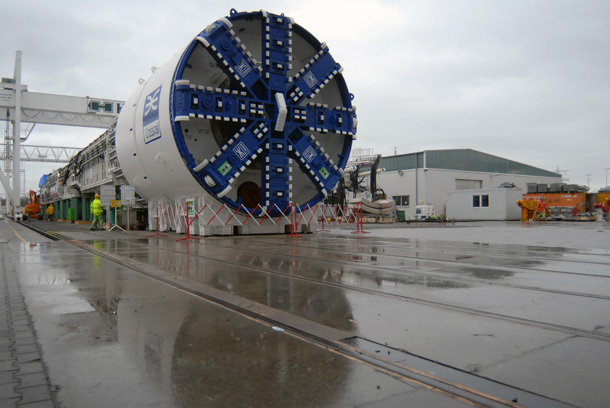 14 December 2011: Each TBM has a cutterhead with a 7.1m diameter. The TBMs will run 24 hours a day, 7 days a week stopping only for scheduled maintenance. 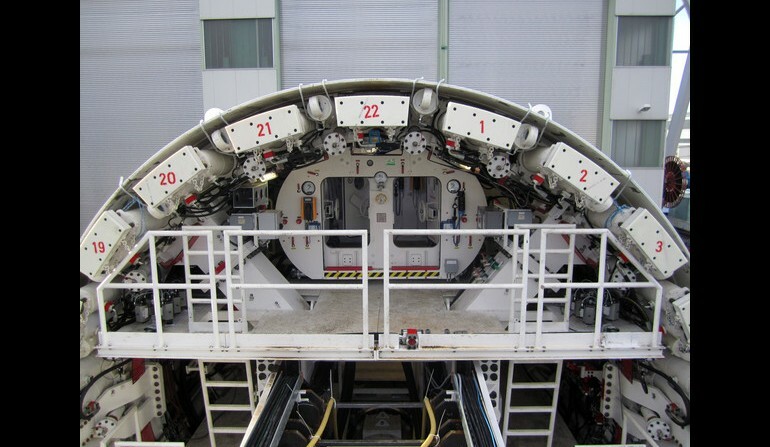 The 140 metre long, fully assembled tunnel boring machine (TBM) is currently undergoing factory testing. For further information about the tunnelling strategy visit the tunnelling section of the website. 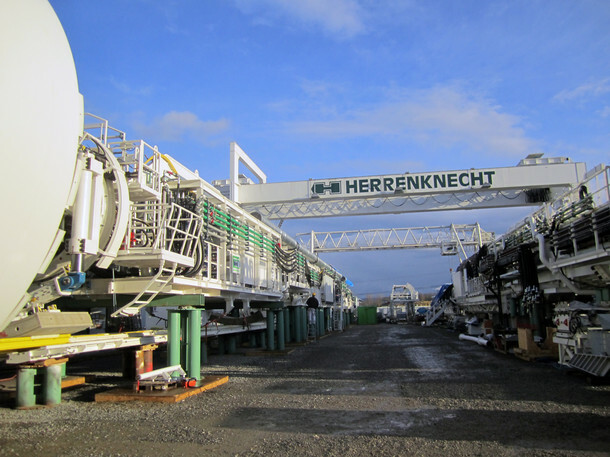 The first TBM components will begin arriving in the UK at Tilbury Docks in late December with components for the second TBM arriving in January 2012. 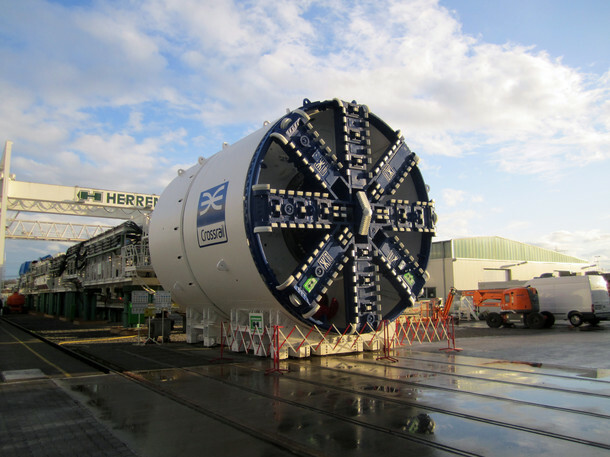 The TBM components will be transported to Westbourne Park for re-assembly. 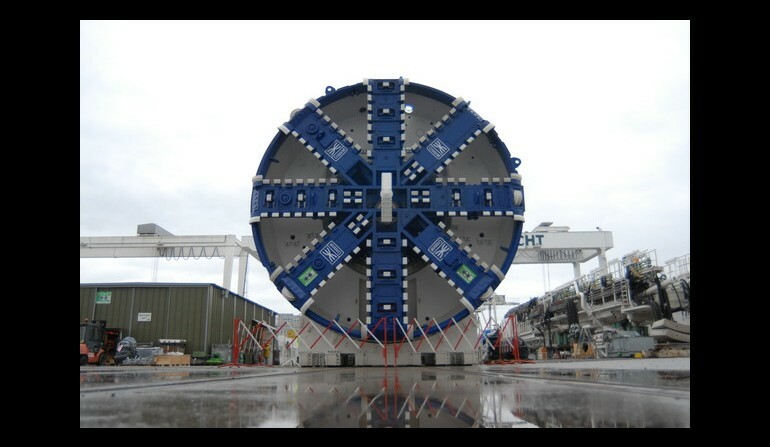 It will take around two-months to fully assemble each TBM. 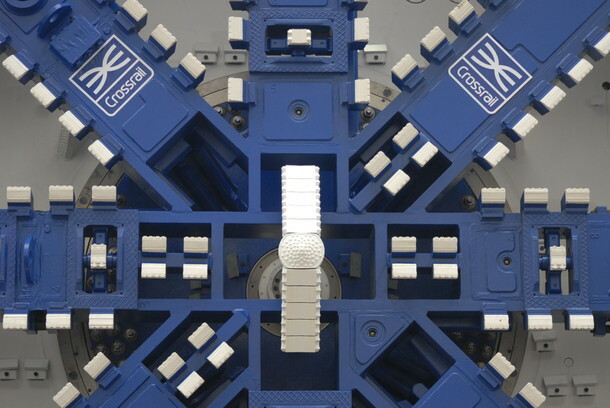 There are no UK-based TBM manufacturers. 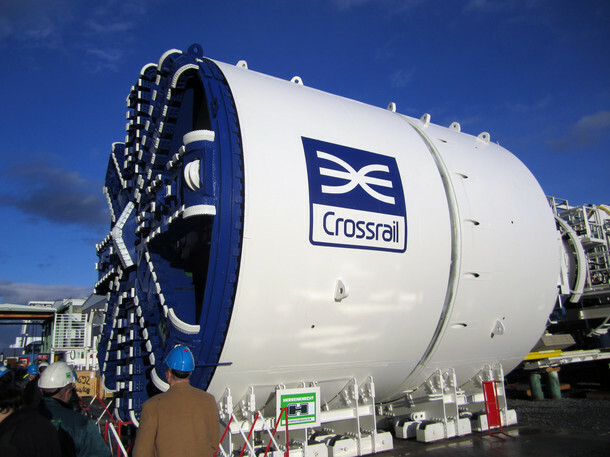 A Joint Venture comprising BAM Nuttall, Ferrovial Agroman and Kier Construction (BFK) was awarded the contract to build Crossrail’s western tunnels. 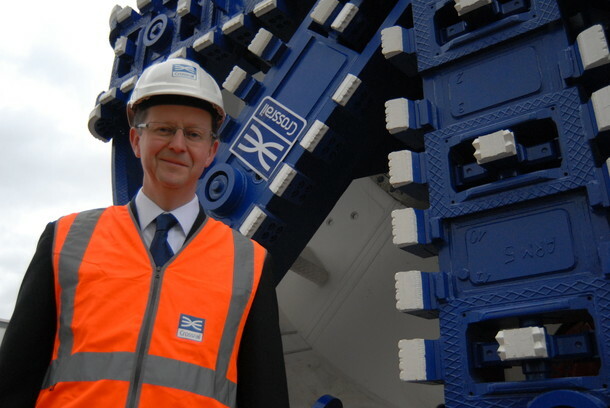 The total funding envelope available to deliver Crossrail is £14.8bn. The Crossrail route will pass through 37 stations and run 118 km from Maidenhead and Heathrow in the west, through new twin-bore 21 km tunnels to Shenfield and Abbey Wood in the east. When Crossrail opens it will increase London's rail-based transport network capacity by 10%, supporting regeneration across the capital, helping to secure London's position as a world leading financial centre, and cutting journey times across the city. Crossrail services are due to commence through central London in 2018.